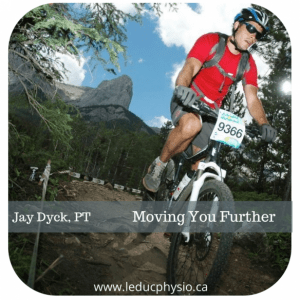 Leduc Physio - Physical Therapy and Massage Therapy ServicesPhysiotherapyPainUncover Your Pain ! Do you tend to get the same injury over and over? Are you always achey in the same joints after playing [fill in the blank]? Do you find that you need to keep stretching the same muscles all the time? If you’ve answered yes to any of these questions, you’ll want to read on. I wanted to let you in on a couple secret principles that once understood and applied will make a difference in how you view movement and why you experience those nagging aches and pains. 1. Your body takes the path of least resistance. 2. You get pain where you move too much. Sounds simple enough, but let’s break this down a little. A classic example is the hips and back. So often I see patients that move too little through the hips and too much through their back. Doesn’t sound like much of a problem right? Wrong. The problem is if your hips are a little stiff then your body will find an easier way to move, which in this case will be your back. Guess what happens? The back gets stiff. And the reason that the back gets irritated or “stiff” is that it needs to move more than it should. Don’t get me wrong. There are going to be situations where these principles don’t apply, but this is a good place to start looking. The challenge is being able to identify where these imbalances are taking place. And that’s where a physiotherapist comes in. We’re trained to uncover those issues. As well, we can take extra training to become really good at identifying the movement patterns that are holding you back. I’ve taken additional training in what’s called Functional Movement Screening (FMS) and I help all sorts of athletes and recreational fitness enthusiasts to move better. In fact I work with one of the local triathlon groups doing just that. So if this has piqued your interest, then give the clinic a call and I’d be happy to explore with you how you can move better and with less pain. Get outside and try this workout today!